If you have had any experience with millipedes you know they can be repulsive! Especially when they are swarming into and onto your home. There are things you can do to get rid of these pests and help prevent future infestations. First I will explain some things about millipedes so you can see why the treatments I describe will be effective. Whatever reason they enter the house, once there, they cannot survive for any length of time. Bearing this in mind, the logical step is to stop the millipedes before they come inside. We do this by eliminating hospitable environments and setting up chemical barriers. In addition there are chemical treatments to assist in the millipedes demise. 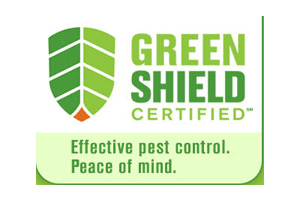 Chemical applications are recommended in the spring and fall. It may be necessary to treat for more than one season to fully eradicate the problem. Chemical is applied to the soil and lawn in a five to ten foot band around the building. This spray should be very thorough to ensure soaking the soil. The lower part of the outside walls should be treated as well, with special attention given to doorways and other openings. Interior sprays are recommended in damp areas of the basement and laundry rooms. This service can be provided by The Bug Runner (it is not included in service contracts but is provided at a substantial discount to contract customers). The exact cost is based on the property in question so we do need to visit for an estimate. Note: Changes in pesticide regulations occur constantly therefore, questions as to specific chemicals can be answered at or near the time of treatment. All products used by the Bug Runner are registered with the New York State Dept. of Environmental Conservation (DEC) and labels for such are provided to the customer.